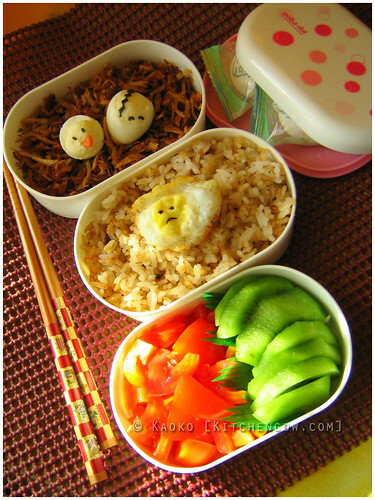 I’m a big fan of bento meals. Well, if you visit this blog on at least a semi-regular basis, you’d know that. Last week, I ran a list of reasons why you should bento for yourself. 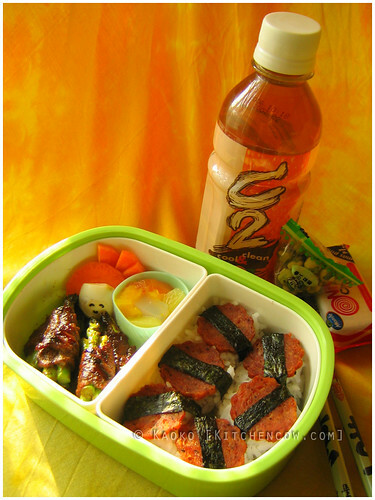 Now, let me convince you why packing bento isn’t just good for you, but for your kids, too! We eat with our eyes before we eat with our mouths. When something’s visually appetizing, we’re won over even before we take that first bite. The same thing for kids, although their definition of attractive might differ from an adult’s. Serve something visually pleasing to them, even if it means food with smiley faces and ears. 2. It offers a variety. One thing that’s nice about bento is the variety it offers. Because it has small servings of different things, kids can enjoy different tastes and textures, minimizing taste fatigue. If you’re packing the right kind of lunch, you’re assured that they’re eating healthier. Bento is predisposed to being healthy because you’ll be encouraged to consider bright colors and variety—a need that’s easily answerable by packing a selection of fruit and vegetables. 4. It encourages them to try new things. 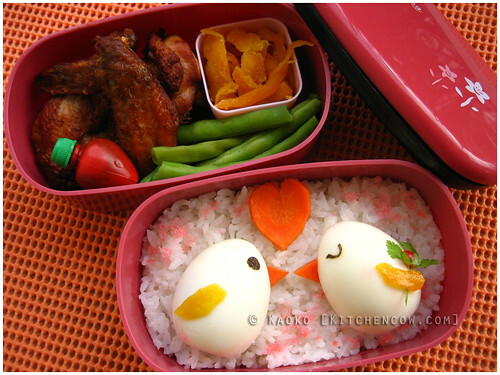 Putting together a varied bento encourages your kids to be more adventurous when it comes to what they’re eating. Slip in something new among their favorites to encourage them to try something new. It also puts old things they don’t normally eat in a new light, so they might be encouraged to finally give it a shot. When they know something good’s waiting for them, eating becomes an event. Mealtime becomes something to look forward to and they’re more encouraged to eat up and enjoy eating healthily. 6. It’s a good compromise. Put together things they like with food that you know is good for them, to come up with an enjoyable compromise. Slipping in a few healthy food morsels among their favorite things will make both you and the kiddo happy. 7. You know what they’re eating. Because you cooked and packed their food yourself, you know what they’re eating. And you’re assured that it’s something fresh and healthy, and not junkfood or sugar-laden store-bought snacks. Convinced? Get started with bento! 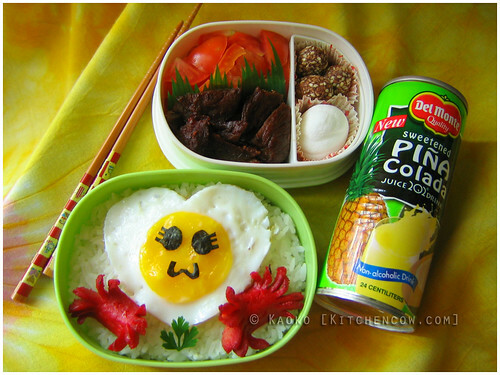 Join the Kitchen Cow 7th Anniversary Bento Giveaway! I love japanese foods.. great blog.